Take a once-in-a-lifetime opportunity to go behind the scenes and become part of the vital research effort to help save the last isolated, natural population of healthy Tasmanian devils on the planet. The Tasmanian Nature Company's Devil Tracker Adventure is a fully-guided four-wheel drive tour through private farmland and native bush to see first hand how Tasmanian devil numbers are being tracked and monitored. Led by our experienced guides, you’ll be taken to a wild devil feeding site to help monitor the progress of the local population of healthy wild devils, observe recorded devil activity and record the latest findings from our hi-tech infrared cameras. During this 1.5 hour experience, your guide will lead you to our Devil Tracker Station, set on the edge of native forest. You’ll learn about the healthy Tasmanian devils living in isolation on the Tasman Peninsula and The Tasmanian Nature Company's role in the fight to preserve and protect the species. You’ll discover the intimate habitat relationship between natural bush and farmland, how to identify wildlife highways and discover traces of nocturnal wildlife activity. Then, you’ll have the opportunity to visit a hidden camera site in the forest and to identify and monitor vital devil activity and health data by downloading the latest images from our cameras and recording the nightly record of devil activity. This information is important in helping save the critically endangered devils, whose numbers now are fewer than those of blue whales and gorillas. Our Devil Tracker programme is funded solely by visitors as part of our novel T4C (Tourism for Conservation) work. 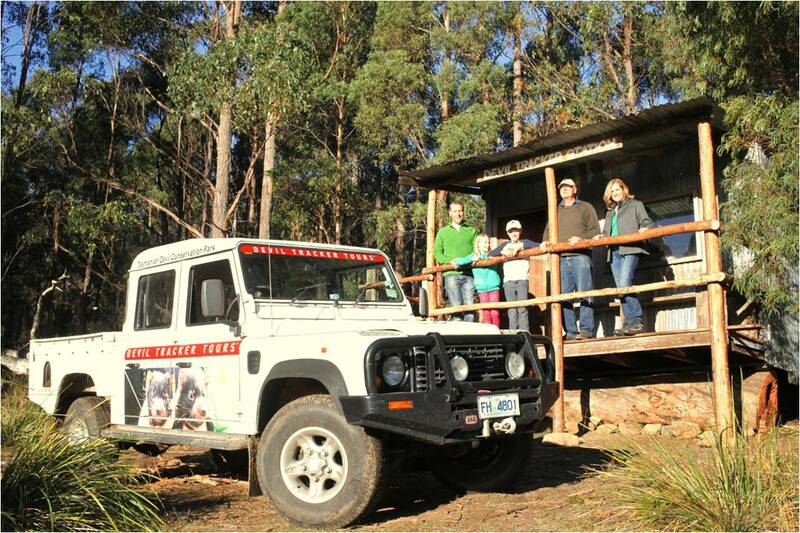 The Devil Tracker Adventure caters for up to twelve guests and includes entry to the Unzoo. Tracker departure times from the Unzoo are 11.45 am all year and 4.00 pm (from October to May). Important - It is suggested you arrive at least 1 1/2 hours before your Tracker departure to visit the Unzoo; that is 10.00 am for the morning tour and 2.00 pm for an afternoon Tracker. Please allow at least 3 hours for your total visit. Disclaimer - Hive Empire Pty Ltd (trading as finder.com.au, ABN: 18 118 785 121) provides factual information, general advice and services on financial products as a Corporate Authorised Representative (432664) of Advice Evolution Pty Ltd AFSL 342880. Please refer to our FSG - Financial Products. We also provide general advice on credit products under our own Credit Licence ACL 385509. Please refer to our Credit Guide for more information. We can also provide you with general advice and factual information on about a range of other products, services and providers. We are also a Corporate Authorised Representative of Countrywide Tolstrup Financial Services Group Pty Ltd. ABN 51 586 953 292 AFSL 244436 for the provision of general insurance products. Please refer to our FSG - General Insurance. We hope that the information and general advice we can provide will help you make a more informed decision. We are not owned by any Bank or Insurer and we are not a product issuer or a credit provider. Although we cover a wide range of products, providers and services we don't cover every product, provider or service available in the market so there may be other options available to you. We also don't recommend specific products, services or providers. If you decide to apply for a product or service through our website you will be dealing directly with the provider of that product or service and not with us. We endeavour to ensure that the information on this site is current and accurate but you should confirm any information with the product or service provider and read the information they can provide. If you are unsure you should get independent advice before you apply for any product or commit to any plan. (c) 2016.